You walk into a trade show and feel the buzz around you. The negotiations between buyers and sellers invoke the historical imagery of today’s modern marketplace. Everything is up for negotiation; from minimum quantity, to price, to payment terms and it is all about the balance of power between the buyer and seller. Until recently, much of this power lay in the hands of the sellers, who determine the conditions under which they are willing to sell, especially the buyer’s payment terms. But advances in fintech (financial technologies), now enable small businesses to pay vendors upfront, while controlling their own credit lines. At trade shows, these new tools in business financing are tipping the balance of power between buyers and sellers. You, the buyer, can now control the limits of your own credit line and repayment schedule, without any effect on your vendors. On a global scale, this movement in technology fits into the larger trend of putting more power in the hands of small businesses. And in your actual practical planning, it allows you to better take advantage of your trade show budget. Increases your purchasing power and balances your cash flow. Between the travel expenses, hotel, entrance fee, etc. the cost adds up. No wonder why 45% of attendees visit only one exhibition per year. So, while many exhibitors attend several trade shows a year, for your business, a large trade show like ASD may be your one opportunity to buy. From a cash flow perspective, this phenomenon is mind-boggling – you are literally trying to plan and source your big season or entire years inventory in a matter of days. Even if you can afford it, what will that mean for your balance sheet? By spreading out your payments over time, you can both increase how much you buy, and better plan how you pay back. Empowers you to plan quantities, and prevents you from overbuying. 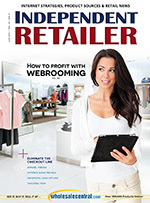 Vendors want to sell more, and retailers want to buy at a good price. So the vendors offer deals on higher quantities, and build additional payment flexibility into higher price tag orders. 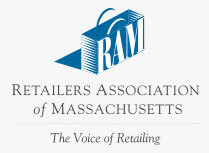 That incentivizes you, the retailer, to buy according to the vendor’s quantity buckets, as opposed to your own needs. The more you can plan your financing, the more you can shift your focus from price sensitivity to purchasing the right quantities. That is not to say that price is not still important. But ordering too much, and ending up with extra inventory also costs money. Enables you to negotiate better deals with your existing vendors. After attending the same trade shows every year, you have probably built up relationships with many of your regular vendors. Then why, you may ask, do you need to bring your own terms? Vendors want to see the money upfront, and you want to pay later. Who wins? When they offer you financing terms, they are taking on the collections risk, and they comprise on their own cash flow. If until now they have been offering you flexible payment terms, and now you come to them with an offer to pay upfront, you may be able to negotiate bigger discounts. Opens doors to new vendors. The number one reason why attendees go to trade shows is to see new products. 92% of buyers list new product information, and its ability to influence their purchasing decision, as a reason to attend trade shows. With the move towards more global businesses, trade shows are one of the last remaining strongholds of face-to-face social interactions. 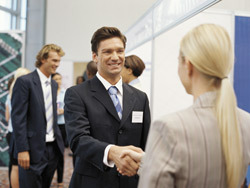 In fact, 51% of exhibitors said they value these face-to-face meetings with customers and prospects at trade shows. Knowing how to walk the floor, socialize at after-hours events, and go out to drinks, all play a part in your ability to build new vendor relationships. That being said, the first time you meet new vendors, you are still breaking the ice. When making your first impression, you may not want to jump into asking for flexible payment terms. Plus, your chances of getting flexible terms cannot compare to those of more established customers of that vendor (or to your own chances at your regular vendors). Going in with your own payment plan maps out an entirely different conversation. Puts your business in a position of strength. When it comes to planning your next trade show, think beyond your budget of “how much” you can pay, and enter with a plan of “how” to pay. Focus your efforts on cultivating old and new relationships, and choosing the best opportunities for your business – without the burden of negotiating terms. Shai is a co-founder and the Vice President of Business Development at Behalf (behalf.com), a small business financing company, backed by Sequoia and Spark Capital. Behalf pays vendors upfront so that their small business customers can buy more and pay back on more flexible terms. Read more financing tips blog.behalf.com, follow us on Facebook and Twitter at @BehalfInc, or connect with Behalf on LinkedIn.